Flexibility: Cards that offer the most opportunities for redemptions — no blackout dates, a variety of partners, etc. Of all the travel rewards cards currently offered, these are the ones I find most rewarding. Cardholders of the Chase Sapphire Preferred® Card are able to transfer their points to Chase travel partners at full value — 1,000 Chase points equal 1,000 partner miles/points. Or get 25% off travel booked through Chase's site. You can also earn 2X points on travel and dining at restaurants & 1 point per dollar spent on all other purchases worldwide. There are no foreign transaction fees. The annual fee is $95. Bonus offer: Earn 60,000 bonus points after you spend $4,000 on purchases in the first 3 months from account opening. That’s $750 in travel when you redeem through Chase Ultimate Rewards®. Click here to learn more and apply for the Chase Sapphire Preferred® Card today! The Bank of America® Travel Rewards credit card offers 1.5 points per $1 spent on every purchase, with no limit to the points you can earn and no expiration date on the points. If you're a Bank of America® customer, you get an additional 10% customer points bonus on every purchase when you have an active checking or savings account with Bank of America. Points can be redeemed as a statement credit to pay for flights, hotels, vacation packages, and more with no blackout dates and restrictions. This card has no annual fee and no foreign transaction fees. Online exclusive bonus offer: Get 25,000 online bonus points if you make at least $1,000 in purchases in the first 90 days of account opening - that can be a $250 statement credit toward travel purchases. Click here or call 866-408-2765 to learn more and apply for the Bank of America® Travel Rewards credit card today! The Capital One® Venture® Rewards Credit Card is a simple travel rewards card that offers two miles per dollar spent on all purchases and unlimited 10x miles on hotels through January 2020, when you pay with your card at hotels.com/Venture. Earn unlimited miles and redeem them for statement credit on travel purchases or transfer them to over 12 leading travel loyalty programs, allowing you to choose any airline or hotel, and earn miles on your travel rewards. Plus, receive up to $100 application fee credit for Global Entry or TSA Pre✓®. There is no annual fee for the first year. It's $95 thereafter. Bonus offer: Get a one-time bonus of 50,000 miles once you spend $3,000 on purchases within 3 months from account opening, equal to $500 in travel. 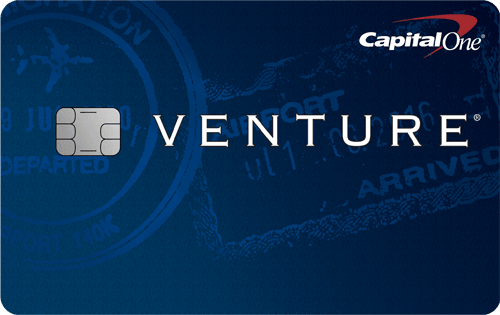 Click here to learn more and apply for the Capital One® Venture® Rewards Credit Card today! The Barclaycard Arrival Plus® World Elite Mastercard® offers a straightforward 2x miles per dollar spent on all purchases. You can redeem your miles for travel or cash back statement credits, gift cards, and merchandise. Miles never expire, and when you redeem, you always receive 5 percent of your miles back toward your next redemption. The $89 annual fee is waived your first year. You’ll pay no foreign transaction fees when using the card overseas. Bonus offer: Earn 70,000 miles when you use the card to spend $5,000 on purchases in the first 90 days of account opening. See Terms. Click here to learn more and apply for the Barclaycard Arrival Plus® World Elite Mastercard® today! The Platinum Card® from American Express is best for the frequent flyer who can appreciate free access to over 1,200 airport lounges in the American Express Global Lounge CollectionSM. Other benefits of this premium card include up to $200 airline fee credit annually, up to $100 hotel credit at The Hotel Collection, fee credit towards an application for the Global Entry program or TSA PreCheck, complimentary Hilton Honors Gold Status and Marriott Bonvoy Gold Elite Status upon enrollment, and up to $200 savings on Uber annually. This card also offers up to $100 in statement credits annually for purchases at Saks Fifth Avenue upon enrollment. 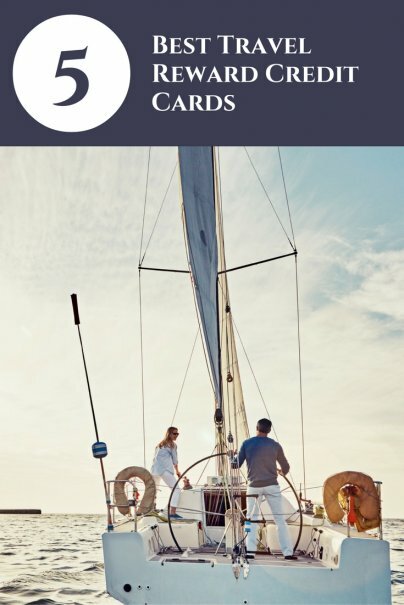 Cardholders earn points in the American Express Membership Rewards program with their purchases — 5X points for flights booked directly with airlines or with American Express Travel, 5X points on prepaid hotels booked on amextravel.com, and 1X point on other eligible purchases. Terms apply. There is a $550 annual fee for this charge card. See rates and fees. Bonus: Earn 60,000 Membership Rewards® points after you use your new Card to make $5,000 in purchases in your first 3 months. For rates and fees of The Platinum Card®, please click here. 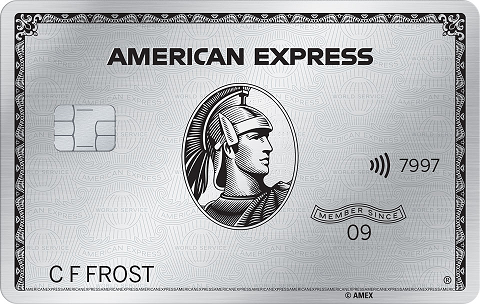 Click here to learn more and apply for the The Platinum Card® from American Express today! No discussion of rewards credit cards is complete without the warning that these products are only best for those who always pay their balances in full and never incur interest. Everyone else should use the card with the lowest APR. That said, if you do pay your balance off every month, and you love to travel, then you have much to gain by applying for and using one of these top travel rewards cards. 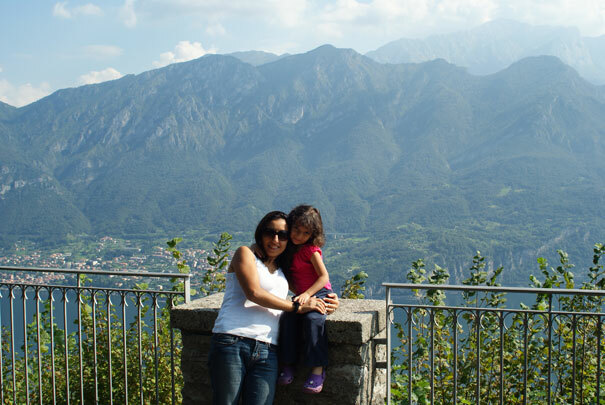 Join me in the exciting world of those who regularly travel for free. 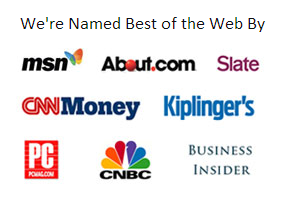 Very good article and I agree with all of the choices listed. For those who are brand loyal I also think that the new Citi Hilton HHonors Reserve Card is going to be on this list soon due to the fact that it comes with an EMV chip and also charges no foreign transaction fees. The weekend night certificate bonus is also a pretty good deal, but again you need to be fairly brand loyal. I like the Amex card that has the $320.00 promo towards airfare. I actually have this card and would highly recommend it. I am an American living in the UK with my British husband. We travel internationally (to California) at least once a year. Which card is the best fit for a family in that situation? I would say any Barclay's credit card that has no annual fee nor foreign transaction fees. Since Barclay's has business in the USA and the UK, it works out well for your specific situation. Your family is adorable Jason! I've been reluctant to try out travel cards. It just seems like cash back cards are easier to figure out. But after this tutorial who knows -- I might give it a try. Do you have any suggestions for the best card for absolute beginners who don't know how to calculate miles? One card you missed is the Citibank Advantage Visa; my personal favorite, so yes, I'm biased. Points are earned based on the card level, but the Gold is 1 point for each dollar spent on anything. It is tied to American, so awards are limited to American and their partners. In my opinion, this is overcome by the lowest point level required by any other program to earn flights; 12,500 miles for one way or 25,000 round trip. I just flew from Key West to SFO round trip for 25,000 miles and I doubt you will get a better deal from any other carrier. Bottom line, if you are looking for a card mostly for making your air travel affordable, and American flies where you want to go, this card is tough to beat. This is a good point that almost every article forgets to mention. While it is nice that these cards give you basically cash back to redeem on flights, their value is much less than an airline card. For example, I just used 40,000 points to book a round trip flight to Hawaii on United. The cost of the flight was $900 but it only cost me 40,000 points. If I had one of these cards that was not an airline card, I would have only received $400 off that $900 flight. Not really a great deal. I love earning amazing travel rewards from credit cards. The rewards from using the cards can be good, but the perks for opening the cards can be amazing. Sometimes you have to spend a certain amount of money in the first 3 months or so to qualify for these perks. I like your analysis about the value being about where you can expect the most return from a credit card, in cents per dollar spent. I would have to say that flexibility is the most important feature to me when I am looking at credit cards for the reason that you have identified which is that I hate earning miles that I can’t redeem. Costs are also important to me but not as important as the other two. I personally prefer the Captial One Credit Card because of its links to the other features of the Capital One Range. I just came across a new rewards credit cards called Dynamics ePlate rewards card. This claims to allow consumers to earn rewards faster than any other 1% credit card in the world. They are giving out some innovative rewards such as the one from Jet Limo, where you can earn a private jet seat after spending only $1,250 on your everyday purchases. Also there are 100% travel rewards from Henry Cookson. For every $1 you spend on any purchase you earn $1 discount towards an African Safari. You might want to have a look at this card. Is there anyone who is using this card? Need a feedback. Nice post Jason. I shared it as a tweet. The best line in here is that none of these benefits are worth it if you don't pay them off! We wrote an article similar to that at WeekDayDreamer.com regarding sticking to the travel budget you set...which can be hard! Happy travels! I "prefer" the Starwood Preferred Guest card for its flexibility in transferring points to airline programs at a value of (1.25 cents per point if transferring 20,000 SPG points at a time). I also like the PenFed card for the 8% rewards on airfare. Tough to beat that. I would definately not put the Capital One® Venture® Rewards Credit Card in the top 5 travel rewards credit cards! As pointed out above by TBB, the Chase Sapphire preferred card is definately available, just do a little google search. Being a french citizen, living in French Polynesia, which credit card can I apply for to score free travel ? Flying out of Tahiti is very expensive ! I prefer the Barclay Arrival to the Venture card, it earns at 2%, but you get a 10% rebate when redeeming for travel. It has a slightly higher annual fee ($89) but it also comes with an extra 20,000 miles as a sign up bonus so in the end it comes out ahead - at least for the first 5-6 years. I absolutely love my Capital One venture card. 2 miles per dollar spent really helps me earn miles much faster. The Capital One rewards program is one of the best too. I recommend redeeming the miles for gift cards such as Amazon or other retail stores where you shop often because gift cards give the maximum value for your miles. Great card suggestions. I have the Amex Starwood and it's is THE nest reward program that I know of. The points have so much flexibility and SPG has the most flexible program available. I checked this out, and Starpoints may be great if you're based in the U.S. The card is also available to those of us in the U.K., but instead of earning one point per dollar spent, you're only getting one point per POUND spent, which is 1.8 to 1.9 dollars. So basically you're only getting roughly half the benefit. To purchase a ticket this summer on StarPoints London-Vancouver, it will cost 155,000 points if I purchased today. That requires 155,000 GBP of spending, or CAD$285,000 to earn. On my existing Air Canada Aeroplan card from Canada (I recently emigrated to the UK) that spending would have earned me 285,000 Aeroplan points, enough for 4.5 round trip tickets to Europe!! The only caveat being that those tickets are almost never available unless I book them 10-11 months in advance as soon as the seats are released. So my choices are suffer endlessly through lack of seat availability, or pay through the nose for them. There is, unfortunately, no great answer from where I sit. But thank you for the well-written article. Certainly provides a good jumping off point for individual research based on personal preferences (as you mentioned). Capital One will NOT honor the online offer! I signed up for 2X rewards and they then noticed that they are only giving me 1.2 per mile!!!! WTF! They are a bunch of CROOKS-- I called them, and after talking with THREE different people, they said that all I could do was sign up for another card! My answer: WTF, Why would I do that when you cheated me the first time! 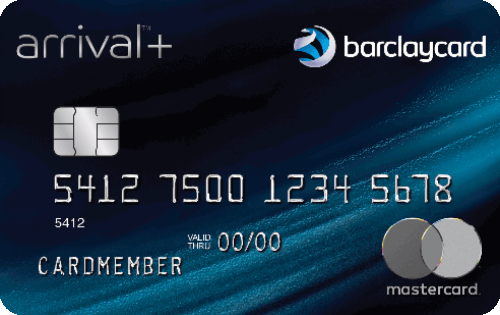 I've been using the Barclay arrival MasterCard for about 12 months and really like it. You get 2 points for every $1 (and they round up so $20.55 is 42 miles) you spend. So it's not just travel and dining, but everything. You then apply the miles (points) against any charges associated with travel - airfares, hotels, rental car etc. I can pick and choose. I also get 10% of the miles I'm using back again as a credit. Really like the flexibility, free FICO score, no foreign transaction fees .... The benefits just keep on compig. If you spent $21K for 3 RT tickets to Europe, you would have to spent a little over $1 million on the card (assuming 2 miles for every dollar of purchases) in a year. I find that hard to believe, and it certainly doesn't apply to the typical working stiff, like me. Capital One Venture card gets 2 mile for every dollar on EVERY PURCHASE and equal points transfer. Does anyone know if either the Barclays Arrival Card, Capital One Venture Rewards Card and/or the Chase Sapphire preferred card allows for partial redemption for travel? If I have a hotel stay for a week that's $2,000.00 but I only have points/miles for $1,000.00, can I use those points/miles to offset $1,000.00 of the travel costs or do I need enough points/miles for the full $2,000.00? Which of these would be a good fit for my need? I am planning to travel once a year to Europe from US. Family of 4. August tickets are around $6500 with Turkish airline. Hi we are a family of 5 with 4 of us traveling to Europe (Amsterdam) typically every other year. We are now going again this summer and for the past two flights we have used United points and Chase Ultimate RP. I just booked us on a flight in Aug. to Amsterdam from IAD for 200,000 CURP. I used their portal and saved over 10K per flight than if I had booked through United. We recently signed up for Sapphire Reserve with the higher bonus. It has a lot of flexibility. $450 fee, but it makes up for it in insurances, $300 travel credit , etc. We just found this to be a good card for us. Definitely a fan of Bank Of America's Travel Rewards card, and a card I would recommend to all BOA customers that have their checking accounts and investment accounts with them. You get a 10% bonus if you do. Bringing it from 1.5 points per dollar spent to 1.65 points per dollar spent. If you use their travel portal for flights or hotel booking, it gets bumped up an additional 1.5 points. This means the 1.65 can get bumped up to 3.15 points per dollar spent. They do cap the dollars spent on their portal for air flights at $6,000 per year ($500 per month). After that, no more additional 1.5 point boost for flights. You can still get the boost for hotels. If you fly once a month for less than $500 and book flights and hotels from their travel portal, you could reap huge rewards from this card. Add no foreign transaction fees and no annual fees, and this card becomes very useful. 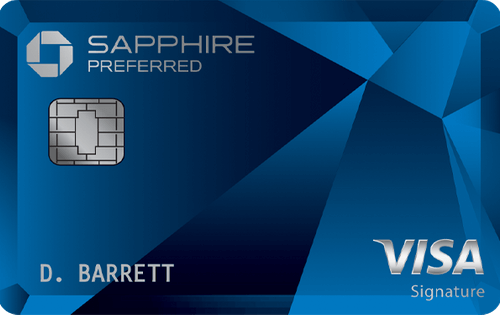 I love the Chase Sapphire Preferred card - my #1 for sure! We also use the American Airlines Citibank card + the SPG Amex to round out our points accrual. So many amazing perks, and great free flights and accommodations. So valuable if used properly. Those sign-up bonuses are key! Good list! We've been reviewing the top cards too and have the Chase Sapphire as our top card, and Discover it Miles is a hidden gem many haven't heard about. We're working on the BankAmericard right now, its another sleeper!